A generic photo of recreational marijuana at a pot dispensary. 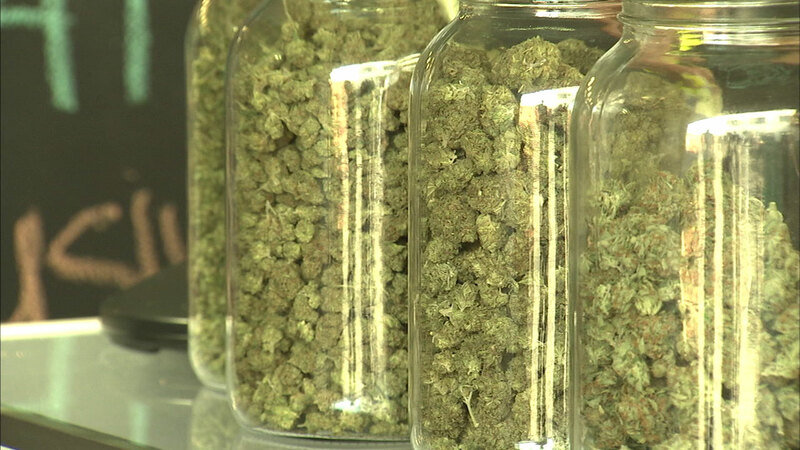 PHOENIX -- An Arizona Court of Appeals ruling says a man's medical marijuana recommendation letter obtained from a physician under California's medical marijuana law provides the same legal immunity as registry cards issued by Arizona authorities. The three-judge panel's decision Thursday upholds a La Paz County Superior Court judge's dismissal of drug possession charges stemming from a 2016 traffic stop of Stanley Kemmish Jr. Prosecutors argued that the physician's letter saying Kemmish would benefit from marijuana medical usage wasn't the equivalent of Arizona's state-issued cards, but the Court of Appeals said having the letter meant Kemmish was a "visiting qualifying patient" under the Arizona law. The ruling described Kemmish as a California resident while La Paz County online court records gave an address in Laveen, which is part of metro Phoenix.